Our hardware solution consists of an adapter cable which has one end that plugs into the USB port of a laptop or desktop computer and another end that plugs into the OBDII diagnostic port of your car. Since our hardware supports USB it is compatible with most computers. We offer interface cables for all BMW models made since 1988. We currently offer three versions. 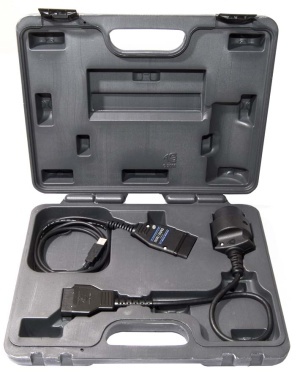 Enthusiast Package with Round Adapter: Includes USB-OBD2 interface cable with a 3 vehicle limit and a adapter for vehicles with round diagnostic connector. Pictures of each kit can be seen below. If you purchase an interface adapter, you are entitled to free software updates for as long as you own the hardware. You can see all of the changes we have made to the product by looking at our version history. 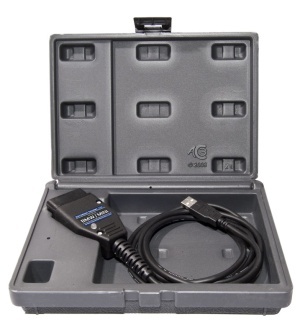 The Bavarian Technic diagnostic tool for BMW is a hardware / software based tool. 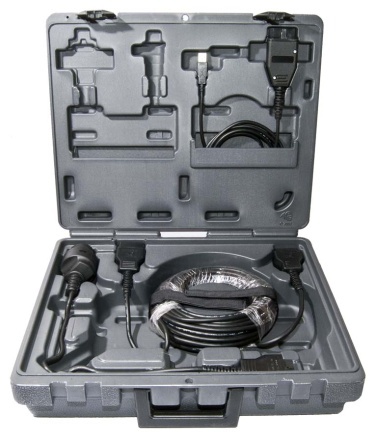 The kit includes the cable(s) necessary to connect your computer to your car. The software is downloaded over the internet directly from this web site. Microsoft® .NET Framework 2.0 or 3.5 sp1 (free download). Not required on Windows 7. - .NET Framework version 4.x not supported. Hardware purchased from Bavarian Technic is warranted against defects in materials and workmanship for a period of six (6) months from receipt by the end-user. All defective hardware must be returned to us at the customer's expense. Bavarian Technic will ship repaired or replacement goods to the customer at our expense using a comparable method of shipment. This warranty does not cover any damage caused by neglect or misuse.